Web MVC framework – Spring is the best web controller framework and configuration model for Java based programming enterprise application. 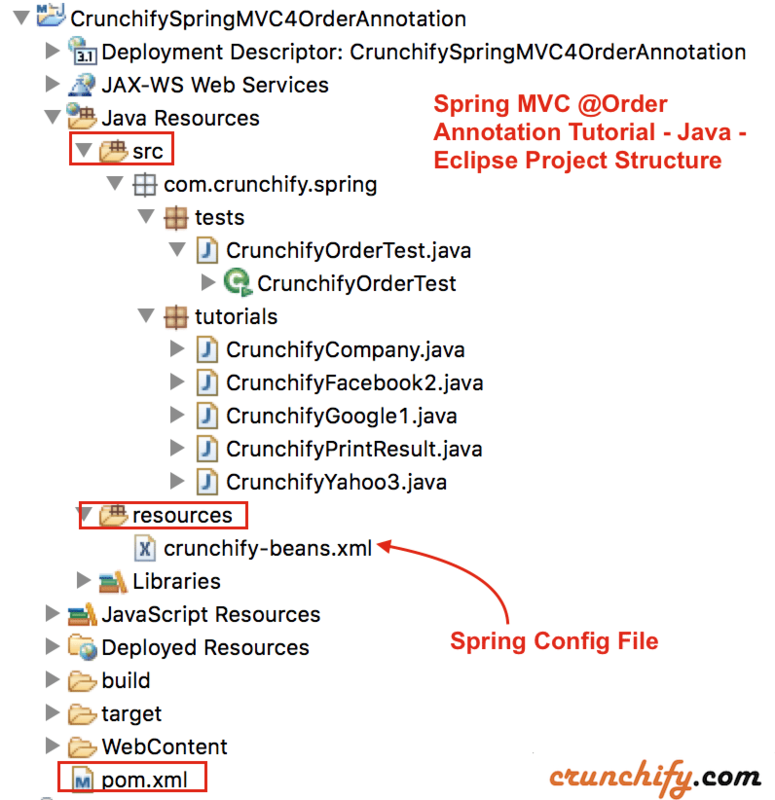 We do have more than 40 Spring MVC tutorials on Crunchify so far. In this tutorial we will go over @Order Annotation. What is the use of @Order in spring? Ordering aspects with Spring AOP & MVC. Provide Target runtime. 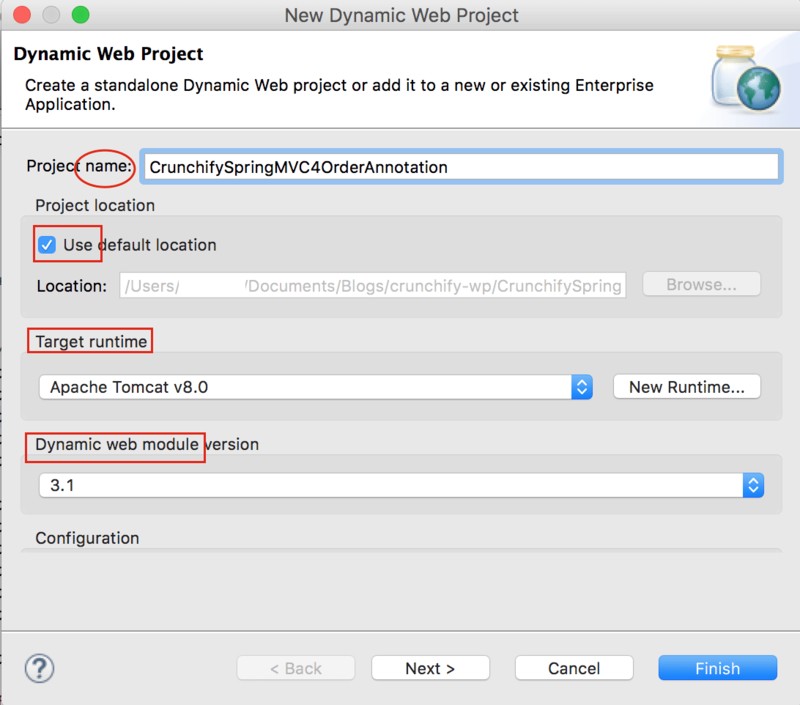 Mainly Apache Tomcat location in Eclipse. Choose default setting and click Finish. Here is a project structure before we start. 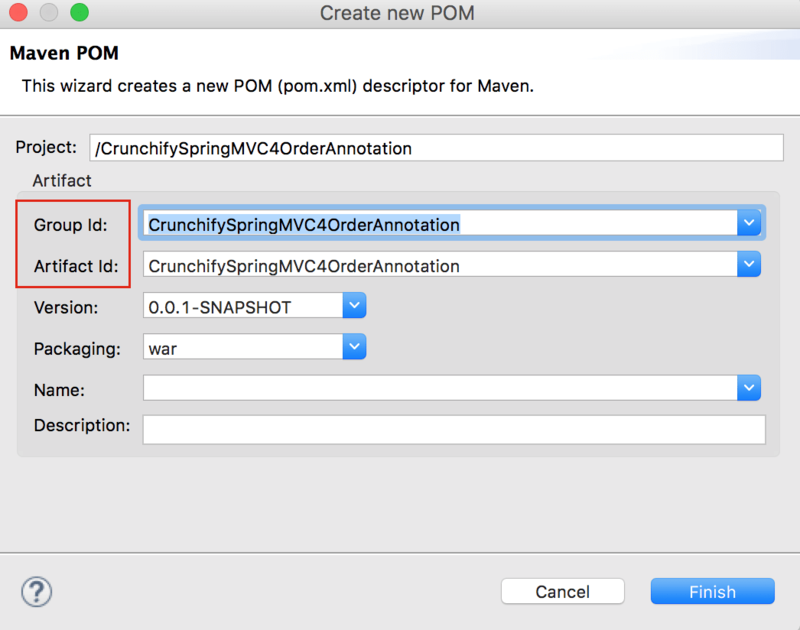 Open pom.xml file and add Spring MVC 4.3.4 dependency. Create file crunchify-bean.xml file under resource folder. Here is a complete file content. Now we will create 5 files with @Order annotation. // Ordered.LOWEST_PRECEDENCE, indicating lowest priority (losing to any other specified order value). Now just right click on file CrunchifyOrderTest.java and Run As -> Java Application. You should see result printed in the order which we specified Order.